David Oliver Joyce won his box-off in the European Olympic qualifiers to earn a Rio spot while 2012 gold medalist Katie Taylor finished third in Turkey. 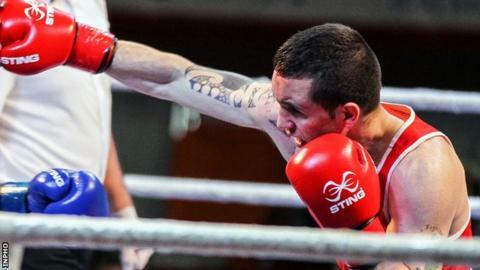 Irish lightweight Joyce defeated Turkey's Volkan Gokcek on a split decision to clinch an Olympic berth. Taylor bounced back from her shock semi-final loss by beating Bulgaria's Svetlana Staneva to secure third place. Only the finalists qualified for Rio but Taylor can still make the Games through the World Championships. The Bray fighter needs to reach the semi-finals in Kazakstan next month to ensure she will defend her Olympic title in Brazil. Irish team-mate Joyce also lost his semi-final but a third Rio place was available in his box-off. Joyce edged the opening round in Samsun but Gokcek took the second round. All three judges gave the final round to Joyce and he joins Belfast flyweight Brendan Irvine, who won his box-off on Saturday, in earning a first Olympic appearance.